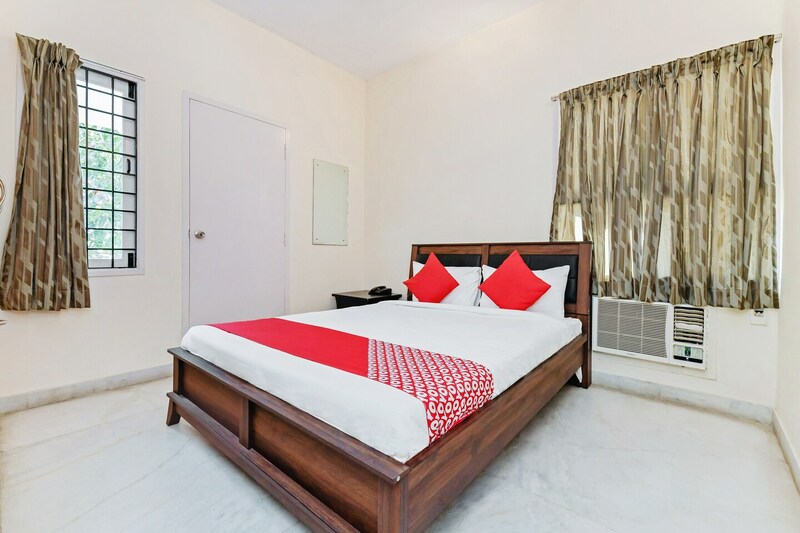 The Flagship Star City T Nagar is a property that offers you a comfortable stay with its simplistic rooms and friendly service, The rooms are designed using warm sober shades with light coloured walls, and wooden furnishings. The flowing curtains reflect the vintage-feels that the place has got. There is ample storage area provided with the rooms where guests can conveniently keep their belongings. The property offers a common seating area,parking facility, and elevators. Flagship Star City T Nagar has a card payment option to make payments easier and CCTV cameras are installed in the premises. Food lovers will be happy staying here, as there are several restaurants located nearby.